Kuolemanlaakso is set to end its long overdue live hiatus, and return on stage in November, 2018. The four-date Intermezzo Infernalis Tour 2018 will kick off from Seinäjoki on November 23rd, and end with a bang at December Doom, Vol. 2 event in Vantaa. “The name of the tour is an obvious reference to an interlude between two eras. We truly needed the break, but the hunger to get back on stage is evergrowing“, states guitarist Laakso. Band’s latest epic Tulijoutsen (2014) debuted at #10 on Finland’s Official Album Chart. It was named one of the best albums of its release year in numerous publications, including Soundi, Inferno and Kaaoszine. Svart Records release a Deluxe CD+DVD reissue of Tulijoutsen in January. It includes the album, a bonus track, Musta aurinko nousee EP, Tulijoutsen – In Memoriam documentary (63 min) and all the band’s music videos. Kuolemanlaakso will finally end its long live show hiatus. The band will be performing at December Doom Vol. 2, Vernissa, Vantaa, alongside with October Tide, Throes of Dawn, and others. Advance tickets are available at Liveto (15 € + handling). “We’ve been inactive since New Year’s Eve, 2016, so, as one can imagine, we’re hungry, ready and willing to hit the stage again. We never intended the pause to last this long, but hey, we’re a doom band; what’s the rush? December Doom marks our first ever show in Vantaa, the birthplace of Usva (bass) and I, and we’re looking forward to playing at the legendary Vernissa with a killer lineup. It will be a night to remember,” promises guitarist Laakso. Join the Facebook event for additional information and discussion here. On August 26th, Kuolemanlaakso are back, unlike you’ve never heard them before! As the title aptly implies, M. Laakso – Vol. 1: The Gothic Tapes is the first solo album of Kuolemanlaakso mastermind Laakso. It showcases his songwriting catchier and more varied than ever, and it shall be released internationally by Svart Records. 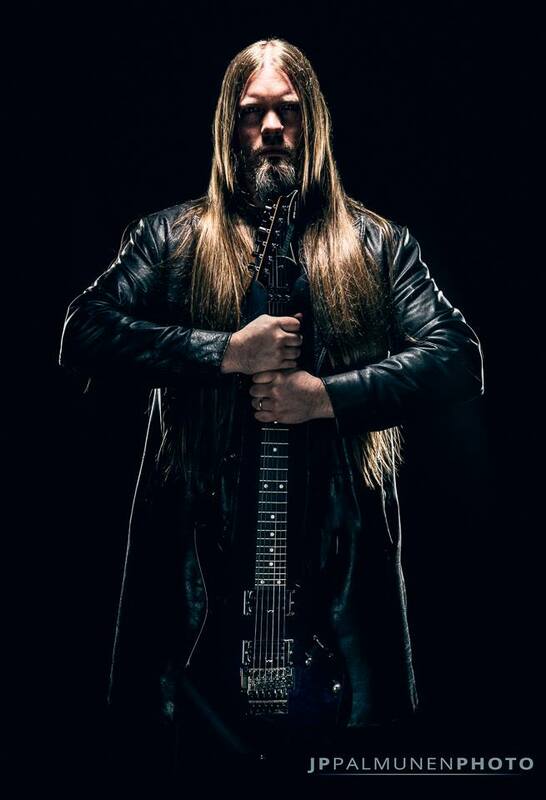 “Kuolemanlaakso started out as my one-man solo project, which quickly escalated into a full-action monster with shows in the biggest clubs and metal festivals around Finland. As our singer Kotamäki will be occupied with Swallow the Sun’s touring duties for a long time, I finally had the opportunity to record an actual Kuolemanlaakso solo album,” Laakso rejoices. Compared to the previous Kuolemanlaakso releases, a lot has changed and much has stayed the same. For starters, M. Laakso – Vol. 1: The Gothic Tapes is not a death-doom album. While the trademark heaviness, gloominess, and melancholy are still solidly present, the color palette is vastly wider. The album is a journey through a wide range of emotions steered by nyctophilia: love for the dark. Whereas Uljas uusi maailma (2012), Musta aurinko nousee (EP, 2013) and Tulijoutsen (2014) were compared to acts such as Celtic Frost, My Dying Bride, and Ajattara, one might hear echoes of Sisters of Mercy, Tiamat, Paradise Lost, and Amorphis on this release. What’s also different is the language, and using Laakso as the lead vocalist. “I chose to do these songs in English, as they demanded a more musical language than Finnish. However, Finnish will always remain the only official language of the non-solo Kuolemanlaakso albums,” Laakso promises. The album was recorded, mixed, and mastered at Woodshed Studio, Germany, by V. Santura, with whom Kuolemanlaakso have worked with since the very beginning of their recording career. Santura also acts as a guitarist and backing vocalist of this special lineup, consisting of him and Kuolemanlaakso members Laakso (vocals, guitar, keys), Tiera (drums), and Usva (bass). The album also features guest performances by Mikko Kotamäki (Kuolemanlaakso, Swallow the Sun), Helena Haaparanta (Crimfall, Valo), and Jaani Peuhu (Iconcrash). Listen to the first single “Roll the Dice with the Devil”, featuring Kotamäki and Peuhu on backing vocals. Kuolemanlaakso’s latest album Tulijoutsen debuted at #10 on Finland’s Official Album Chart. It made notable appearances on the Album of the Year lists in Finland’s leading music publications, including Inferno, Soundi, Imperiumi.net, and Kaaoszine.fi. UK’s Soundscape Magazine chose it as the Top #1 Album of 2014. Svart Records will release M. Laakso – Vol. 1: The Gothic Tapes on red and black vinyl (limited to 200 and 300 pieces), digital download, mini-gatefold CD, and limited-edition artbook CD (500 pieces) on August 26, 2016. The artbook includes an exclusive bonus track and a 24-page booklet with handwritten lyrics, photographic art, and exclusive liner notes for each song, all crafted by Laakso himself. Kuolemanlaakso will perform at Virgin Oil, Helsinki, on June 18, 2016, with epic metallers Crimfall. Not only is this Kuolemanlaakso’s first live ceremony since August 2015, it is also the official comeback show of Crimfall, who are set to release their third album. Do not miss this special night as Kuolemanlaakso will only do a very limited amount of shows this year. Kuolemanlaakso will be headlining the “Puistolava” stage at Kuopio RockCock festival in their hometown on August 1, 2015. The band will play only a very small amount of shows in 2015, this being the first – and possibly the only – one of them. The lineup also includes Accept, Children of Bodom, Sonata Arctica, Leila K, Turmion Kätilöt and numerous others. “We’ve never performed at the biggest musical event of Kuolemanlaakso’s hometown, so it’s an honor for us to have the opportunity to headline the ‘Puistolava’. After the event we will start focusing on the Era III of the band, so do not miss out on this rare performance. As John F. Kennedy once said: ‘Change is the law of life. And those who look only to the past or present are certain to miss the future’“, hints guitarist Laakso. The recent years, and especially the first half of 2015, have been busy for Laakso as he penned the official biography of the Finnish metal giants Amorphis for Like Kustannus. The 400-page hardback will be released in Finland (so far in Finnish only) officially on August 20, 2015, and on July 15, 2015, if you order it from Levykauppa Äx. Book + t-shirt bundles are also available. 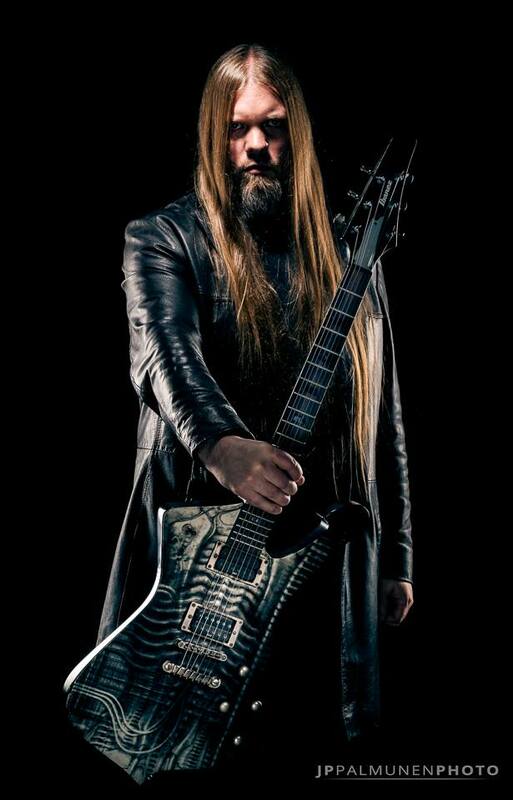 Levytukku Oy has adopted Kuolemanlaakso‘s main songwriter Laakso to the Ibanez Guitars family. Ibanez’s have been an integral part of the Kuolemanlaakso sound since the beginning of the band. 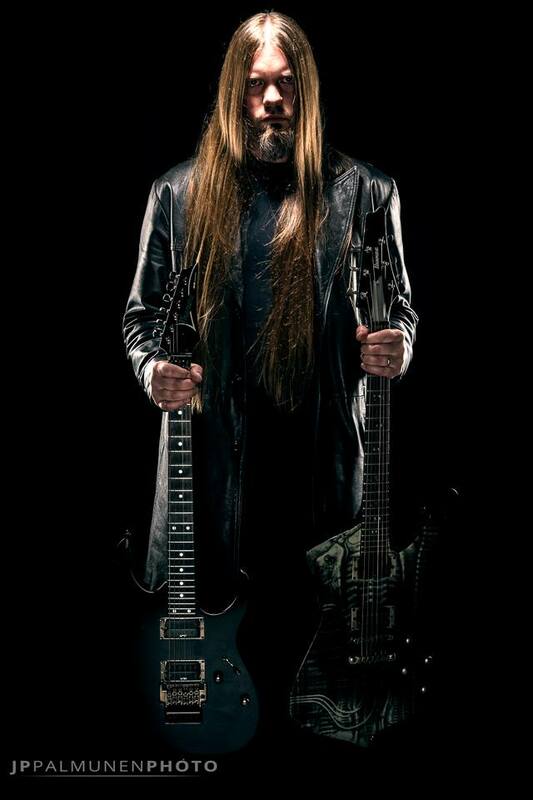 “Ibanez guitars have been my favorite tools ever since I bought my first one back in 2000. It is a humbling honor to start the official collaboration with the brand. I’m confident that the fresh alliance will take the all-crushing Kuolemanlaakso sound to even further heights“, states Laakso. Photos by JP Palmunen Photography. Record Shop X Order Tulijoutsen now – Limited Edition Bundles available! Svart Records Order Kuolemanlaakso releases from Svart Records! The Omega Order US Fans – all Kuolemanlaakso releases are available to order at The Omega Order!